Promote your Online Image and Suppress Negative Search Results. When do you need Suppression? Suppression is the most popular method for reputation management as it not only pushes down the unwanted information but adds a layer of protection from future articles, images and links showing up in your search results. You will have a client meeting with our engineering team consisting of professional writers, editors, and strategists that will help build and publish your new professional brand online. We will build out and register you on professional listings to fit your professional branding profile. These listings will add to the overall reputation management strategy. We will purchase an exact match domain, build out and host a customized website with professionally written content and images that will reflect your personal brand and be the first thing people see when searching you online. We will build out and register you on high ranking social media sites that fit your personal branding strategy and link them to your website and professional sites for added credibility in search results. Our content team will work with you to write relevant search engine optimized professional biographies, pages, and blogs which will be the first thing people see when searching for you online. Our Engineering Team will work with you to publish content and images on our proprietary platforms and your sites to strengthen the aforementioned branding profiles and sites so they rank higher in your search results. We will then link all the sites so they signal to Google that they are working together to suppress the unwanted content. Our Engineering team will provide real-time monitoring for the search term with status updates from your dedicated account manager. Our engineers will closely monitor search results and will work to increase the visibility of positive sites. Our Engineering Team will also continuously publish positive content to keep your platforms and professional websites current and updated so your first page of Google is secured from any unwanted content. Our Engineering Team will brand your first page of Google for the search term by creating positive sites that we control and we will protect your online appearance from unwanted images, blogs, articles and/or links that may appear over the next year. We will continuously update and keep current your business listings, social media accounts, and professional profiles throughout the next year as needed to maintain your results at no extra charge to you. Your dedicated account manager will send you monthly status reports about your search results at which time you can submit any updates you would like us to add to your business profiles, or notify us of any up and coming unwanted articles we should be on the lookout for. When do you need Removal? Removal which can be more expensive should always be the first option when looking to quickly restore your online reputation. Please see below just some of the removal categories that may help you. Our Internet Privacy Attorney will work to remove the unwanted negative search results for your search term from the sites or news outlets you are appearing on. Once the article or news story is removed our Engineering Team will then re-cache all articles in Google to completely remove all remaining links from showing up in your search results. Our Internet Privacy Attorney will work to remove any unwanted feedback or sites with negative feedback that is determined to be competitor driven, disgruntled employees, fake or spam. Our Internet Privacy Attorney will work to remove any unwanted trademarked and or copyrighted images or photos from your search results on the sites and news outlets you are appearing on. Also any other unauthorized, altered or inappropriate photos that are appearing on the internet or social media may be removed as well on a case by case basis. Our Internet Privacy Attorney will work to remove any unwanted trademarked and or copyrighted videos from your search results on the sites and news outlets you are appearing on. Also any other unauthorized, altered or inappropriate videos that are appearing on the internet or social media may be removed as well on a case by case basis. When do you need Crisis Management? When you no longer control you first page search results Reputation911 Crisis Management Program can quickly help you Restore your Online Presence using a combination of our Removal and Suppression programs combined with our Crisis Management Program below. Our Engineering Team will recalibrate Google auto-complete removing the unwanted suggestions from the suggested search and adding suggested search terms supplied by you that will portray a more accurate reflection of your professional and personal brand. Our engineering team will recalibrate Google Searches Related To to remove negative search terms and portray a more accurate reflection of your professional and personal brand. We understand that when a Reputation911 moment happens you may not have the funds immediately available to get started. If this is the case, please ask about our payment plans and financing partners we have put in place to help you get started. 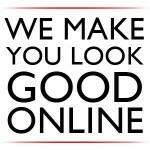 My Online Reputation program is for individuals looking to Restore, Promote and Protect their online image and professional brand. Restore: We will first restore your online reputation by removing and/or suppressing the unwanted sites, images, videos and links associated with your name from your search results. Promote: We will promote your online presence by publishing positive content and articles on our proprietary platforms and network of professional websites further suppressing the unwanted links back in your search results to the page you desire. Protect: We will then protect your online image by refreshing those platforms and websites with new content, and links to keep you in control of your online reputation and monitor those results to keep them from coming back up into your search results. What is Personal Reputation Management? Personal Reputation Management involves successfully removing and/or suppressing any misleading, outdated, or inaccurate information from an individual’s online search results. The idea is to remove the unwanted content from the first page search results by replacing it with new positive content. Once the new content is built out on proprietary platforms, professional websites, and social media platforms, it must be properly maintained and managed to prevent the unwanted links or articles from resurfacing. 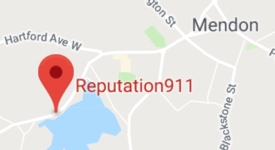 Reputation911 develops customized strategies for each individual to help restore, promote, and protect their personal or professional online reputation.